Having a good, solid roof is a necessity in North America, where weather extremes mean we could face hurricane-force winds, forest fires and extreme cold and heat all in the same year. These weather variables put excessive strain on standard shake and shingle roofs, causing them to crack, break or even rot well before the manufacturer’s recommended life span expires. Those who live in areas where high wind and hurricanes should certainly consider a steel metal roof as these types of roofs can withstand up to 120 miles per hour without damage. 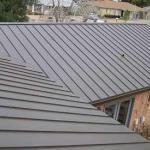 IN fact, many of the types of metal roofing that are offered by Absolute Steel comply with Dade County, Florida’s hail and hurricane requirements. 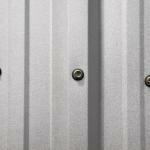 Consider a steel metal roof for your home. Not only do they now come in nearly any color and pattern imaginable, they are much more suited for our weather and will last years longer than shingle roofs. Having a metal roof means never having to worry about moss or mold growth, insect infestation, or rot. Additionally, with a roof that is fireproof your home has more chance of surviving should your neighbor’s home catch fire or a forest fire approach your area. Many residents of California and Hawaii are now opting for metal roofs because of their ability to withstand earthquakes and forest fires. When you are looking at metal roof products, consider your local area and try to get a product that both compliments your home as well as blending in with the homes around you. For example, if the whole neighborhood has black shingles you may want to avoid a red metal roof unless you want your home to really stand out. Luckily you can find a metal roof in almost every color desirable as well as patterns that are made to mimic shake or shingle roofs. Not only are steel roofs great-looking and incredibly durable, they are also and an environmentally conscious decision. Steel roofs last longer than shake and shingle roofs, with an average lifespan of 30-50 years, so less material is used over the lifespan of your home. At a minimum a steel roof contains 25% recycled content and at the end of its use the steel can be 100% recycled instead of clogging up a landfill. The maintenance required on a tough steel roof is very minimal, so it the perfect roofing material for homes where the owner does not want to spend time or money fixing his roof. It will stay looking great year after year no matter what kind of weather gets thrown at it. 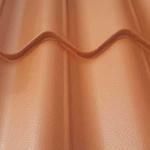 Make an investment in your home and equip it with a metal roof. You will be not only be protecting your family from extreme weather but you will be making sure your home stays looking great for many years to come and also be more environmentally friendly. 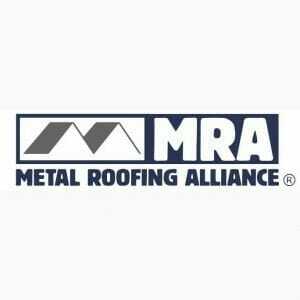 Visit www.MetalRoofingSource.com to learn more on the benefits of metal roofing.